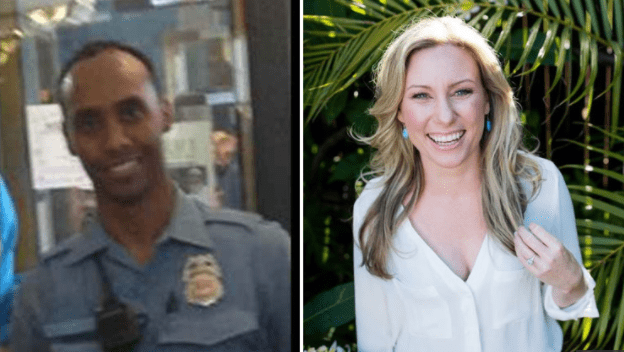 Minneapolis police officer Mohamed Noor, who shot and killed Jutine Damond last weekend became a Minneapolis police officer in a training program that was a “fast track”, designed to accelerate someone through the training program. The seven-month training is a quicker, nontraditional route to policing aimed at helping those who already have a college degree enter law enforcement. The Star Tribune reports that the Minneapolis program covers tuition at Hennepin Technical College and pays trainees a $20-an-hour salary with benefits while they work to get licensed. After that their salary bumps up. When Damond approached the driver’s side window of the squad car, Noor, who was in the passenger seat, fired across his partner in the driver’s seat, killing Damond. For days, the agency did not make a comment and that lack of communication has caused a lot of speculation, including what kid of training Noor had. Stay tuned for later today where our editorial team will be following up with this issue.